Pregnant, Parenting, and Pro-Choice: New Tumblr reminds us that pro-choice does not mean anti-baby. 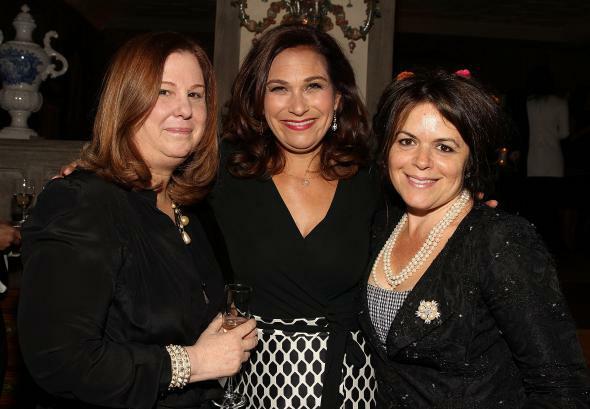 NARAL President Ilyse Hogue (center, pictured last year with Susan Koch and Izette Folger at Elle’s annual Women in Washington Power List dinner) is pregnant with twins. “Being pro-choice is fundamentally about parenting,” explains editor-in-chief Jodi Jacobson in her introduction to the project, “because it means believing, as the international women’s rights movement has long stated, that every child should be a wanted child, and that, by extension, that every parent is a willing parent.” She includes a photo of her son’s baby shower in 1999. It’s not just political rhetoric. More than 60 percent of women who get abortions are already mothers. When asked why they sought abortions, women frequently reference their commitment to responsible parenting. Nearly half cite an unwillingness to be a single mother or concerns about their relationship as a reason for the abortion. A third cite their existing children, saying they worry that another baby might make it hard to care for the ones they have. Nearly three-quarters say they simply can’t afford to raise a baby right now. This Tumblr is necessary because the belief that pro-choicers hate babies underpins the current anti-choice strategy. If you watch politicians defending abortion restrictions, it becomes clear that the talking point these days is to claim it’s about protecting women. Rick Perry, for instance, claims that the massive abortion restrictions he signed in Texas are there to “protect women.” Anti-choice activists are always claiming that abortion hurts women. The assumption is that every woman, deep down inside, wants that baby. Abortion providers and pro-choice activists are portrayed as charlatans tricking vulnerable women into abortions. Anti-choicers argue that women have abortions will experience regret and mental health issues from being lured into rejecting their God-given desire to have all the babies. It’s a theory that only holds together if you assume that pro-choice activists aren’t so much pro-woman as anti-baby. It’s a silly argument, but the claim that abortion needs to be restricted for women’s own good is the argument Texas is likely taking to the Supreme Court soon. Anti-choicers have good reason to believe the gambit will work, too, because it’s the argument that swayed Justice Anthony Kennedy in 2007 when he wrote the opinion ruling in favor of a law banning the safest method of later-term abortions. That’s why it’s more important than ever to remind the public that pro-choicers really are about choice, and not just mindlessly opposed to women having babies.